DARYL GURNEY will face Rob Cross on his Belfast homecoming on Night Ten of the 2019 Unibet Premier League, with the fixtures for Nights Ten-16 now confirmed. After the elimination of Raymond van Barneveld from the event in Rotterdam on Wednesday, the remaining eight players will now battle for places in the Play-Offs during the second half of the season. Following Night 16 in Leeds, the top four players will progress to play in the semi-finals and final at The O2 in London on Thursday May 23. 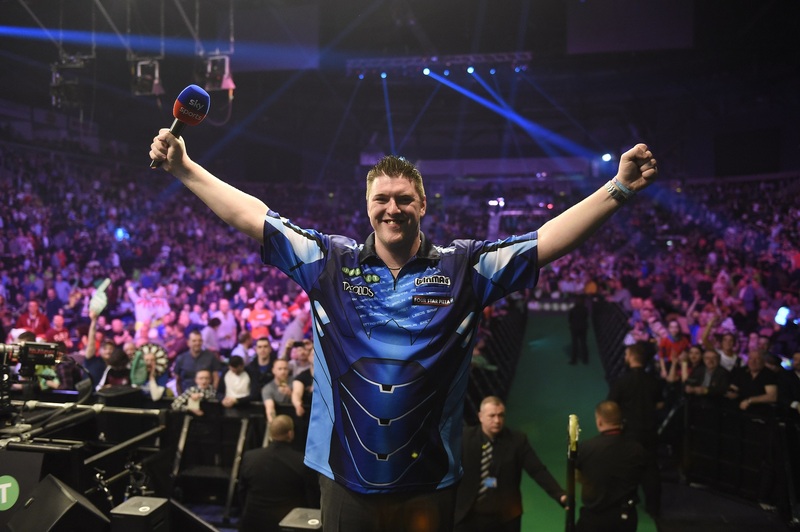 Night Ten in Belfast will see in-form Gurney make his return to Northern Ireland against former World Champion Rob Cross, with the Northern Irish ace having enjoyed a memorable SSE Arena debut 12 months ago. World Champion Van Gerwen faces Michael Smith in a repeat of the 2018 Premier League final in Liverpool on April 11 as the battle for Play-Off places intensifies. Grand Slam of Darts champion Gerwyn Price will be backed by a Welsh crowd against Michael Smith in Cardiff on Night 12, where the world's top two Van Gerwen and Cross will also clash. The Premier League roadshow then rolls into Birmingham on Night 13, where 2009 champion James Wade will be looking to repeat his impressive win over Van Gerwen in Exeter, before Mensur Suljovic hopes to repeat his World Matchplay semi-final win over Peter Wright in Manchester. A replay of the memorable 2017 Premier League final between Van Gerwen and Wright will take place in Sheffield on Night 15, before the battle to win spots in the Play-Offs culminates in Leeds on Night 16.